Undertaking to implement a knowledge management approach is inherently difficult and risky for organizations. This article describes and discusses an implementation of a knowledge management system that took place at Skaraborg Hospital, a group of hospitals in the South West of Sweden. The article describes how the implementation process was carried out. 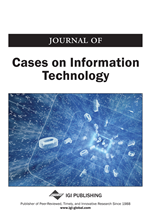 Based on the experiences from this case and some previous cases, the article suggests a number of best practices for implementing a knowledge management approach.